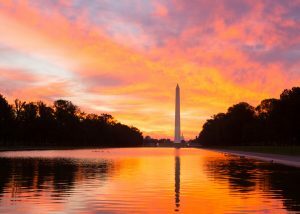 Home NAFTA – An Uncertain Sunset? NAFTA – An Uncertain Sunset? This article originally appeared in Global Trade Magazine on Oct. 22, 2017. As noted by recent media reports, United States trade negotiators have chosen to introduce a five-year sunset provision to NAFTA as part of the fourth round of negotiations that took place last week in the US capital. The idea, first suggested last month by US Secretary of Commerce Wilbur Ross and US Trade Representative Robert Lighthizer, would allow for NAFTA to be terminated at the end of each five-year period unless the signatories review the status of the trade deal and formally agree to continue. Secretary Ross believes a “systematic re-examination” of NAFTA is necessary. He says the 1994 economic forecast impact to the US when NAFTA entered into force was unduly optimistic. Ross believes that although such a sunset (i.e., termination) would likely never occur, the clause is necessary to force discussion and avoid stagnation. In the new NAFTA, there would be an ongoing mechanism in place to get things fixed or adjusted to current conditions. Meanwhile, Canada and Mexico have been quick to state their strong opposition to the sunset proposal. They say that the degree of uncertainty that this brings to manufacturing decision makers is very harmful. It could discourage investment away from the NAFTA region.